Ready to Buy Trimble Ag Software? Please visit the online Marketplace to purchase Trimble Ag Software. 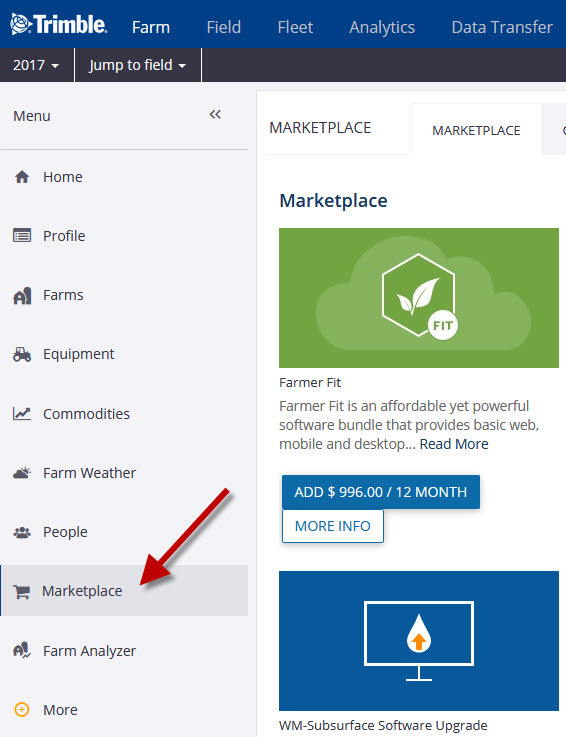 This includes purchases for Farmer Fit, Farmer Pro, WM-Subsurface, add-on modules, and more. You will need to set up a Trimble account, if you haven’t already done so. Call us at 1-800-282-4103 or send an email to TABS_Sales@Trimble.com.